Another kind of Adelaide City heritage is making its way back to South Australia today. 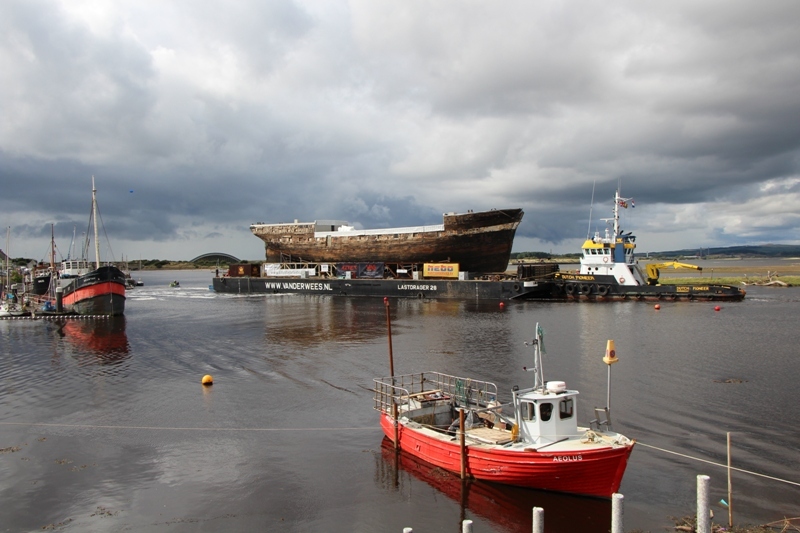 After decades of neglect and years of advocacy by a dedicated band of local supporters, the nineteenth century clipper ship the City of Adelaide is finally making its way back to Adelaide from its previous resting place in Scotland. The ship was built in 1864 in Sunderland, in northern England. The City of Adelaide made 23 voyages to South Australia in the years 1864-1886, bringing thousands of immigrant passengers to the state. Later the vessel served as a collier, a hospital ship and a navy training ship. Finally the ‘City’ passed into the ownership of the Scottish National Maritime Museum in 1992. At that time, it was the last remaining nineteenth century sailing ship still able to float. Some restoration was undertaken, but a shortage of funds prevented further work by the museum. Meanwhile, in Adelaide, a local support group formed in 2000 to save the ship from the threat of demolition and work for its return to South Australia for restoration work. After 13 years, that goal is about to be achieved through the tireless efforts of the volunteer group Clipper Ship of City of Adelaide Limited (CSCOAL). An extraordinary engineering feat undertaken by South Australian engineering firms and costing more than $1.2m has seen the creation of a cradle that was shipped to Scotland to bring the City of Adelaide back to South Australia. 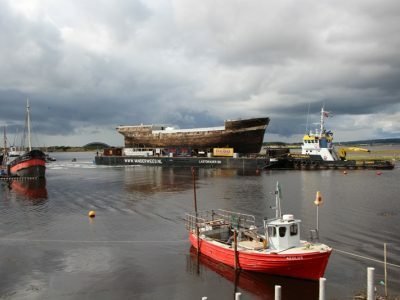 On 9th September, more than 3 000 people gathered at Irvine dock in Scotland to see the clipper move down the slipway aboard the barge that is transporting it back to Australia. In the next 24 hours the barge will set forth for the journey to Adelaide with the City of Adelaide city atop. Rough weather has created a small delay, but with the indomitable spirit that is the hallmark of this project, that too will be overcome. Today’s departure is a huge milestone for all those involved and a new beginning for the world’s oldest surviving clipper ship. The National Trust of South Australia warmly congratulates the team at CSCOAL on their successes to date and look forward to the homecoming celebrations when the City of Adelaide arrives at Port Adelaide early in 2014. For more information about the City of Adelaide and its amazing journey, visit the CSCOAL website. Thanks Glen! We will pass your information onto the Clipper Ship of City of Adelaide team at Port Adelaide.